In order to gain a reward, you will often be required to take some sort of risk; when it comes to nonprofit insurance in New York City, however, your risk should always be minimized. Insurance for nonprofits can exist without the risk as long as you construct an effective risk management strategy for your organization. Keep reading to find out how you can create your own insurance risk management strategy for a nonprofit organization. Your risk management strategy will be designed to keep the risk of lawsuits and liability as low as possible and keep you covered in a number of ways . You may enlist the services of a broker, agent, or insurance company or even a risk management consulting firm for help in designing your strategy. Keep in mind that a risk management strategy does not stand in place of an insurance policy; instead, your strategy can show insurers that your organization is worth covering, and it encourages insurance agencies to allow you to choose specific coverage areas at a reasonable price. Your risk management strategy can help you determine which risks are more difficult to avoid, which can help to shape your insurance policy. There are a few prevalent misconceptions about nonprofit insurance that should be clarified before you construct your risk management strategy. One important nonprofit insurance myth is that charitable immunity protects nonprofit organizations from lawsuits. While this may have been the case long ago, charitable immunity is no longer practiced. 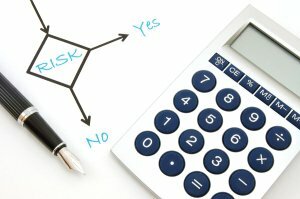 Some believe that nonprofits should only concern themselves with general liability policy, which is also untrue; the nonprofit insurance policies you purchase should be based on the strengths and weaknesses highlighted in your risk management strategy, which reflects the actual needs of your business. A successful risk management strategy will minimize the risk of your nonprofit organization, but you will need the safety net of insurance. Assess your risk management strategy and determine where the risk remains high; these are the areas where you will need nonprofit insurance in order to make sure that your organization stays covered.